A Liberal majority on the House of Commons ethics committee voted down an opposition motion calling on Prime Minister Justin Trudeau to appear before the committee to answer questions over his vacation on the Aga Khan's private island, which breached conflict-of-interest rules. Conservative ethics critic Peter Kent's motion was defeated by six to three with all Liberals voting against, and the Conservatives and NDP voting in favour. Just before Christmas, the conflict of interest and ethics commissioner found that Trudeau breached multiple aspects of the federal ethics code by accepting a vacation on the spiritual leader's island during the 2016 holiday season. "We have an ethics commissioner [who] is above partisan politics to make rulings and to look into things — to help Canadians separate the partisan attacks and mudslinging and the politics from what actually happened. I'm happy to work with the ethics commissioner," said Trudeau when asked in a radio interview if he will appear at committee if asked. "I think keeping politics and partisan attacks to the side on this is what Canadians expect." 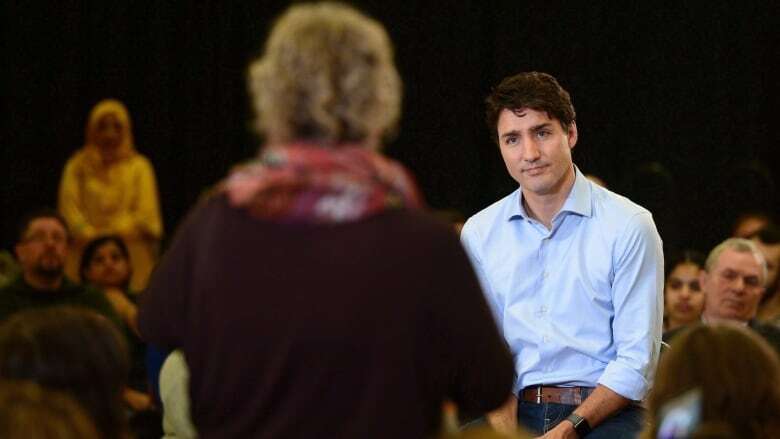 Trudeau said his latest batch of town hall meetings, the first kicking off in Nova Scotia Tuesday night, is a better way to answer questions. "Actually getting out and meeting with Canadians across the country, doing open town halls where Canadians get to ask me any question they want and hold their elected representatives to account is at the heart of what a democracy should be," he told CBC Radio's Information Morning. "That is exactly why I am so excited to be getting out of the Ottawa bubble, the partisan attacks back and forth, and actually connecting with and meeting with Canadians like I do every chance I get." A Conservative source says there are two main reasons why the Tories wanted to hear more from Trudeau, who held a lengthy news conference on the day the report was released. The source said they wanted to find out who else was on the island at the time of Trudeau's vacation and if the prime minister will reimburse taxpayers for the full cost of the trip. CBC News has previously reported that John Kerry, who was the U.S. secretary of state at the time, was also a guest on the Aga Khan's island during Trudeau's vacation. As for the more than $200,000 price tag for security and transportation, the Prime Minister's Office has previously said Trudeau has already reimbursed the commercial cost of flights for him and his family, which is standard practice. Kent wanted to hear from Trudeau by the end of the month, and requested the prime minister appear on either Jan. 17 or 18, more than a week before the House resumes sitting.